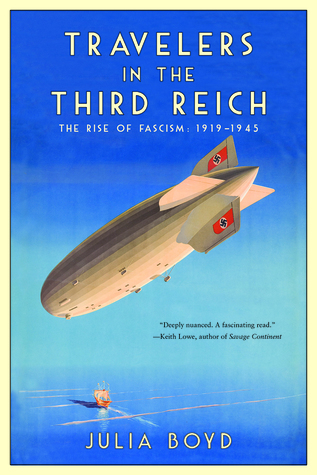 I’ve been reading Travelers in the Third Reich by Julia Boyd, which compiles the journals and letters and other observations of people who visited Germany starting in the 1920s and the Weimar Republic and into the Hitler regime. I find this a totally fascinating topic because so many people vacationed or conducted business in Germany in the 30s and had no idea how dark it was and would continue to be. Many of these visitors exposed their own prejudices and racist attitudes towards Jews and felt sympathetic towards the Nazis. And sometimes, despite any misgivings they had about the Nazis, they got swept up in the pageantry and cult behavior of the Nazi party. I may blog again about this book as I keep reading it because there’s a lot of interesting stuff in here. One of the stories that popped out to me was that of Milton S. J. Wright, who at the time of the rise of the Nazi party was a PhD student of economics at Heidelberg University, and was lucky enough to have an audience with Adolf Hitler himself… and what made this all the more eye-opening is that Milton Wright was black.